NATO has started a huge exercise called Noble Jump in South-Eastern Europe, which will last until June 22, 2017. The purpose is to test the so-called Very High Readiness Joint Task Force (VJTF) concept. The barracks in Cincu (Romania) are the center of the training activities. But troops will be deployed in Bulgaria and Greece as well. The alliance described the exercise as a ?logistical challenge that will test the ability of all the participants to deliver a fighting force to wherever it is needed.? Noble Jump is being led by the 20th Armoured Brigade from Great Britain. The Allied Rapid Reaction Corps and countless other divisions are part of the endeavour too. Forces from several NATO countries have already started deploying ?a significant numbers of soldiers, vehicles and helicopters?. Some 2000 troops and as many as 500 vehicles will make the journey to the training area in Romania and the entire region. They are mainly coming from bases in the U.K., Germany, The Netherlands, Spain, Poland, Norway and Albania. In addition, 2000 Romanian soldiers are taking part. Most divisions will be flown to Romania, some will be transported by sea and railway or in road convoys. 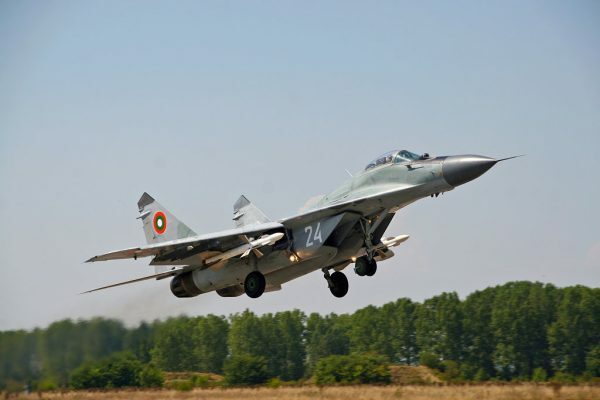 According to sources in Sofia, there will be military traffic in Bulgaria as well. 280 British soldiers are supposedly crossing the country today. The Commander of Joint Force Command Naples, Admiral Michelle Howard said: ?Noble Jump is an important NATO exercise. It allows us to sustain interoperability as an alliance. We will deploy or ?jump? forces from around the theater to Greece, Romania and Bulgaria. I appreciate the support of the host nations? authorities and their close cooperation as Noble Jump ensures that our skills, knowledge and experience are kept up to date. ?